Did you know that you can read and send messages not only with your iPhone and iPad? Your Mac can be a helper and the feature itself is useful and convenient. In this article, I want to tell you how to setup everything properly and use this feature on your Mac! 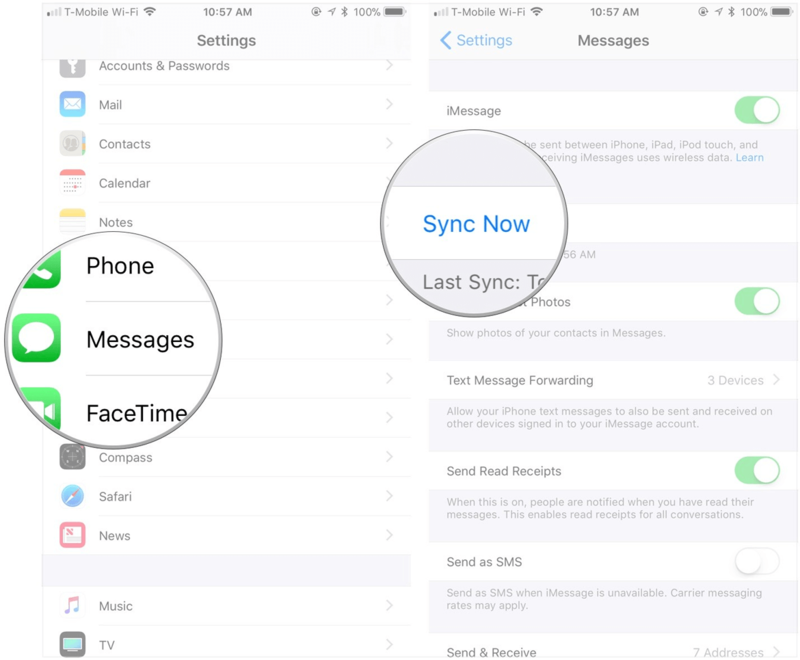 Firstly, you need to take some steps to ensure that you have the functionality of both SMS messages (these are standard text messages sent with phones) and iMessages on the Mac. 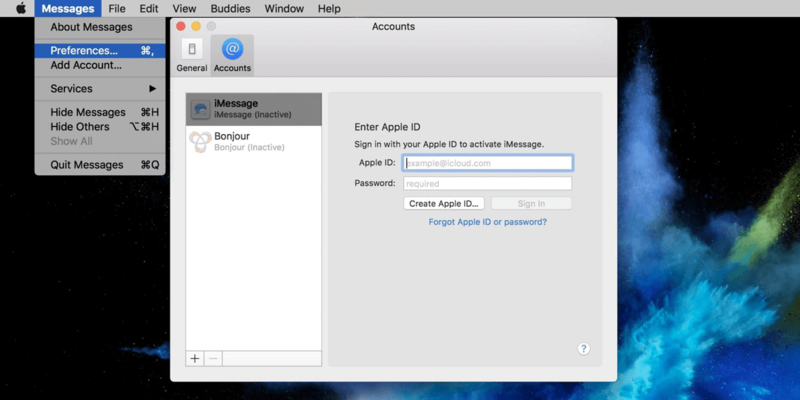 Start with signing in to the Messages app on your Mac with the Apple ID, if you haven't done it yet. If you have, then go further and find out if you have turned the Text message forwarding on the iPhone. It will allow receiving texts on your Mac. Sign in to the app, if you're launching it for the first time. After it is launched, go to the 'Messages' section from the menu bar. Visit 'Preferences', choose 'Accounts' and go to 'iMessage'. Type your Apple ID, specify your password. After you signed in, the window will show you phones and emails that are set up for reaching you out. A phone number or email for starting new chats will be chosen as well. Your current number will be highlighted by default. Anyway, you are able to change it. Click on the number and select another option. If you want to remove emails from the list, just uncheck them. So, they won't be in use any more. If you want to receive texts to your Mac regularly, ensure that you've turned on the 'Text message forwarding' option on your iPhone. Note that this won't work on other phones, as only Apple devices are able to synchronize. Launch the Settings app on the iPhone. Swipe down the menu and choose 'Messages'. Check the toggle next to the Mac, this will turn on the feature. It will become of green light. Once you are signed into the Messages application on the Mac and turned on the 'Text message forwarding' feature on the iPhone, the system starts working. Now you can read text messages and chat via your desktop Mac (or a MacBook). As for me, this feature is very comfortable and I use it every day. I don't need to look at my iPhone while working with my Mac and can answer messages right away! However, this is not the only option! You can use iCloud for reading messages! And here is a manual how to do it! Let’s setup this feature in macOS Sierra iCloud. 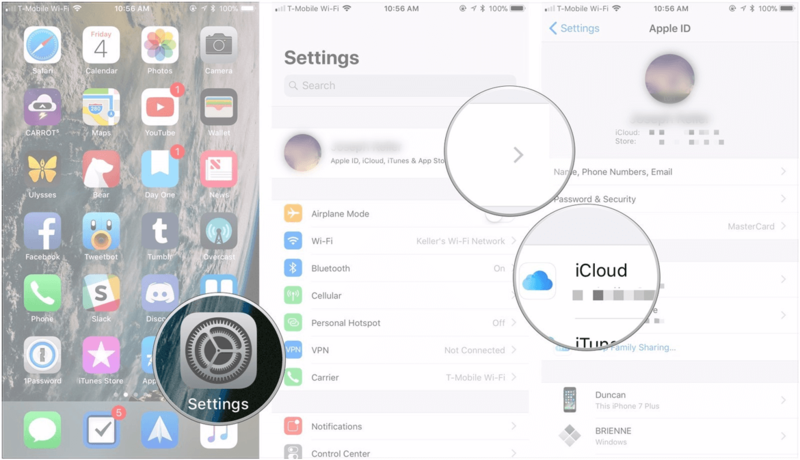 iCloud is a perfect instrument for syncing your mobile and desktop devices. It also can download all your messaging history in case you have a new Apple device. Visit ‘Messages’ in the Menu. Put a tick next to the ‘Enable messages on iCloud’ line. Tap on the ‘Sync now’ button to synchronize all your devices. 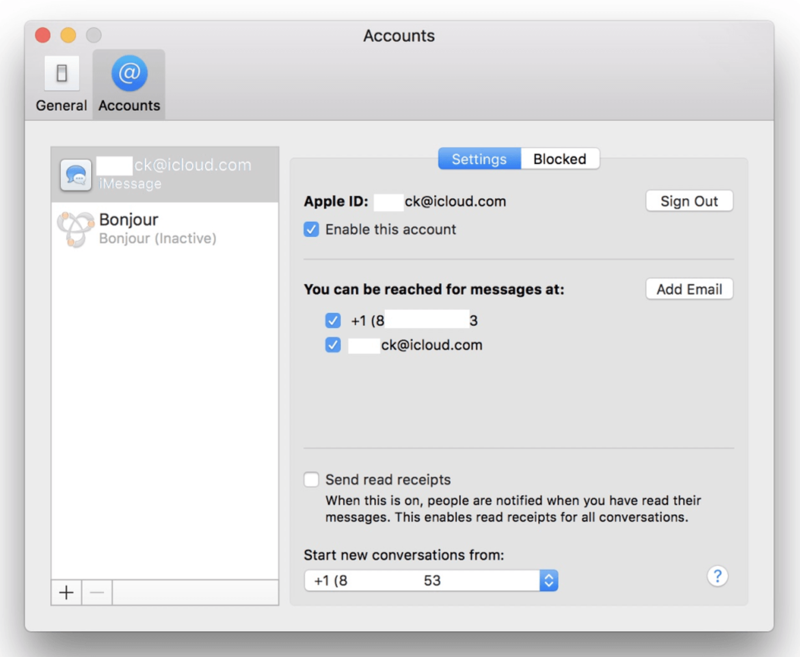 That’s all you have to do for synchronizing your iMessages via iCloud! 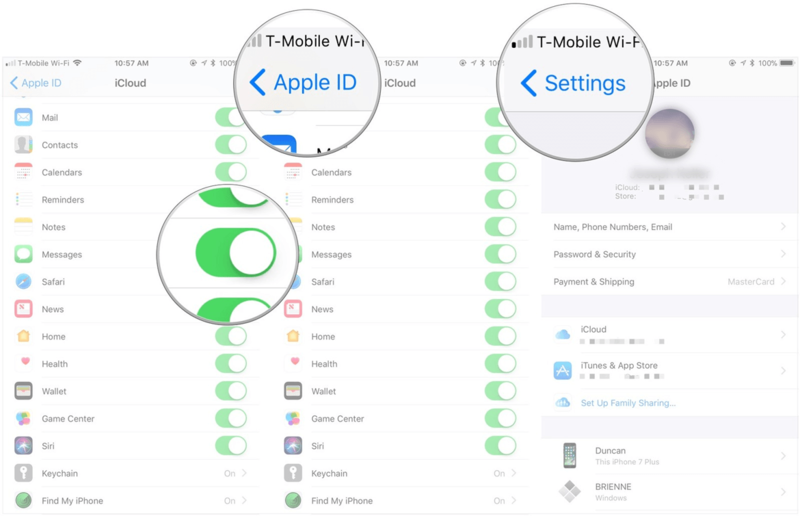 Surely, now it’s time to turn it on on your iPhone and iPad to make it work correctly. Ensure that switch near ‘Messages’ is green, it means that it is turned on. 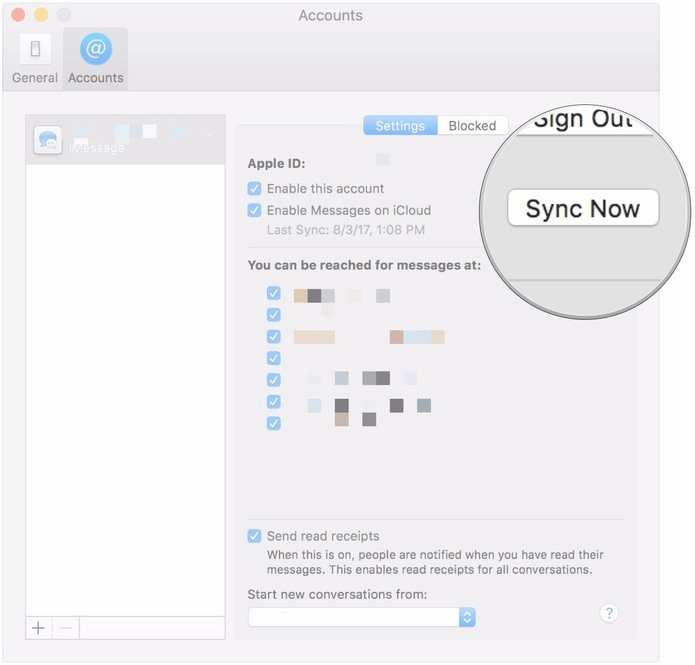 Choose ‘Sync now’ to synchronize your messages with iCloud.